First and foremost, congratulations to m.togami for reaching 10,000 supporters on LEGO Ideas, and toward everyone for all of the support of the BTTF - Jules Verne Train project! The results of the LEGO Review are in and you can see full details on the LEGO Ideas Blog. Our team has thoroughly considered the possibility of releasing this project as a LEGO set according to the criteria of the LEGO Review. 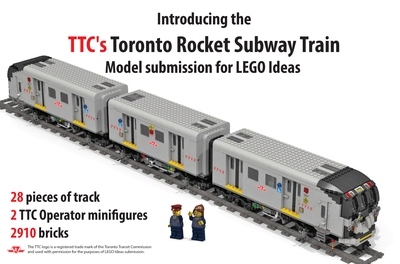 Unfortunately the LEGO Review Board has decided that we will not produce this project as a set. Thank you to m.togami for the passion and creativity that went into this project, and to all of you who voted so that we would have the opportunity to consider this as a potential LEGO set. We’re sorry to deliver this disappointing news. How do we arrive at our decisions? 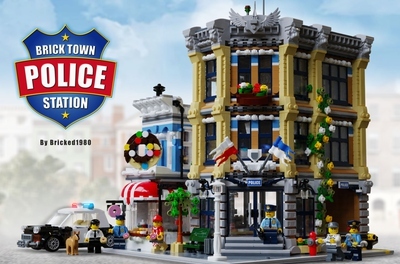 By gaining 10,000 supporters, a fan-submitted project moves from the Idea Stage to the Review Stage, where it earns the opportunity to be considered as a future LEGO® set in a process called the “LEGO Review.” Gaining 10,000 Supporters is just the first step in this process. A "LEGO Review Board" composed of professional set designers, product managers, marketing representatives, and other key team members examine each qualified project. They build concept models and determine if the concept meets our high standards for what it takes to be a LEGO product; including factors such as playability, safety, and fit with the LEGO brand. Every potential LEGO product, including those developed internally, goes through a similar process and must meet the same standards. The amount of time this takes varies due to all the factors involved. Unfortunately, this process sometimes means that well-conceived projects that gain just-as-passionate followings have to be turned down. Please note that the LEGO Review Board makes all final decisions on which new sets the LEGO Group will release based on LEGO Ideas projects. Congratulations on 10,000 supporters, m.togami! Congratulations on reaching 10,000 supporters for yet another fantastic Back to the Future model. This train engine is beautifully built and has so much character. It really captures what must be the second most iconic vehicle from the Back to the Future trilogy. We now officially advance this project to the Review phase. This project moves from the Idea stage to the Review stage. A "LEGO Review Board" composed of designers, product managers, and other key team members will examine the idea. We'll build concept models and determine if the concept meets our high standards for what it takes to be a LEGO product. This includes factors such as playability, safety, and fit with the LEGO brand. Every potential LEGO product goes through a process like this and must meet the same standards. This project qualifies for the Second 2014 Review beginning in May and ending in September. For more information about the LEGO review process, see this knowledge base article. The review is a thorough process and from its start, and can take several months. When finished, we make a "go/no go" decision to develop and sell a product based on the BTTF - Jules Verne Train concept. When the review is complete, we will inform you of our decision. If green-lit, this project goes into the longest phase of the project; the Development phase. During this time, LEGO model designers refine the product and develop it for release, we create the product materials (box, instructions, marketing), and get everything ready for a production run. This also takes several months. We will post follow-up information and our decision here. Congratulations on reaching the halfway point with this great project. In the words of Doc Brown, "you can't keep a good scientist down" and the same is true for a good LEGO builder! 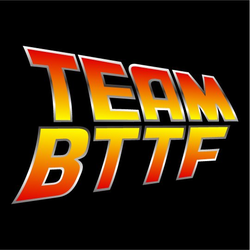 You and Team BTTF have designed a great model with high building and play value that really captures the essence of the Jules Verne train from Back to the Future. It's filled with fantastic details and personality. Best of luck as you continue your journey to 10,000 supporters and into the future! What a great model of the Jules Verne Train from the Back to the Future trilogy. 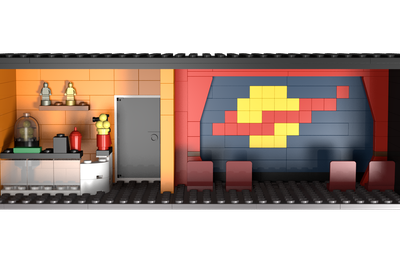 You have done an excellent job capturing the fine details of this train in LEGO bricks. Good luck on your journey to 10,000 supporters!